A view of the trail to Angel's Landing, in Zion National Park in Springdale, Utah in March of 2016. Severe thunderstorm warning was issued Friday, July 8th 2016 for Lansing, Michigan and the surrounding areas. The storm had a top wind speed of 63 miles an hour, it knocked down hundreds of trees and knocked power out to thousands of people. This beautiful fall country back road is in Marquette County, Upper Peninsula, Michigan. This photograph was taken on October 15th 2016. Oxararfoss is a waterfall in western Iceland located in the Thingvellir National Park. Thingvellir National Park is where the Eurasian and North-American tectonic plates meet. This was hours before sunset during the summer. Beautiful fall colors along 510 near Big Bay, Michigan. The road is so new it is not on google maps yet. This road leads to the Eagle Mine. I love this shot! It really shows the warmness of this night. The sunset was nice and soft against the blue icebergs. 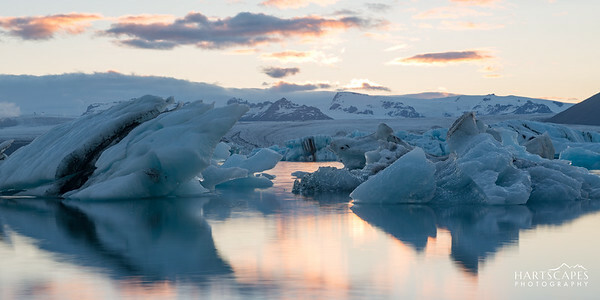 This wonderful place is Jokulsarlon, Iceland. If I had one place I could visit on my return trip, this would be it. 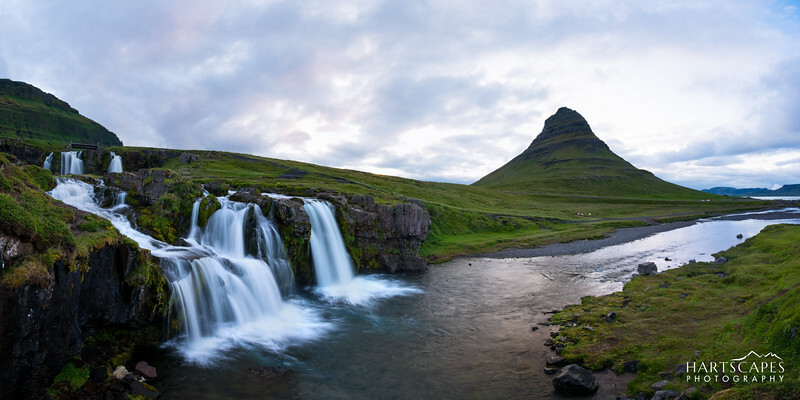 This fun waterfall is Kirkjufellsfoss in Iceland and the unique mountain is Kirkjufell. I titled this photograph Unique view because of the unique shape of the mountain. 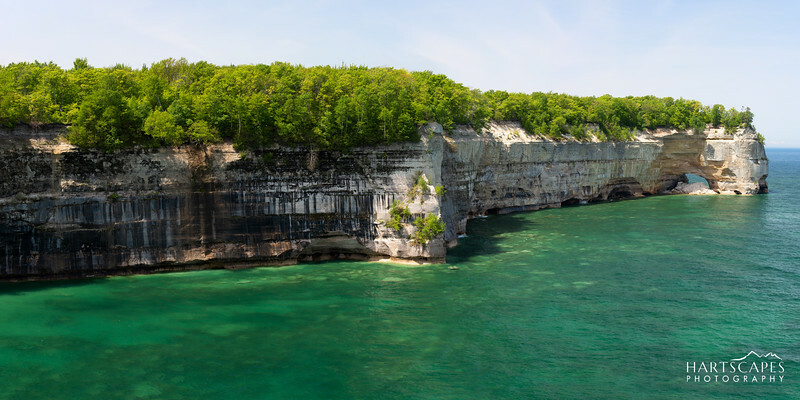 One of the best hikes in Michigan (in my opinion) is the Chapel-Mosquito Loop in Pictured Rocks National Lakeshore. Although it is one of the longer hikes, it is well worth it to see views like this. On the right is one of the famous rock formations called, Grand Portal Point. Copyright Hartscapes Photography Inc. 2018. All rights reserved.